Comment: I guess my first meeting with Ataque Escampe happened about 6-7 years ago through A Regueifa Plataforma, an imprint of which purpose was to issue disparate kind of music coming out of from the autonomous region of Galicia, Spain. Unfortunately the site has been down for a while. I dislike such sort of reckless attitude because you are being responsible for so many artists and it could be understood in the case you are having your own site but if a site is based on blogger than I can see no excuses. Furthermore, you could upload a roster’s music at Archive.org as well. It could be said about many imprints as well. All of that is fairly regrettable to see the past to have ruined in front of us. Fortunately many artists on the imprint have moved to Bandcamp, including Ataque Escampe. 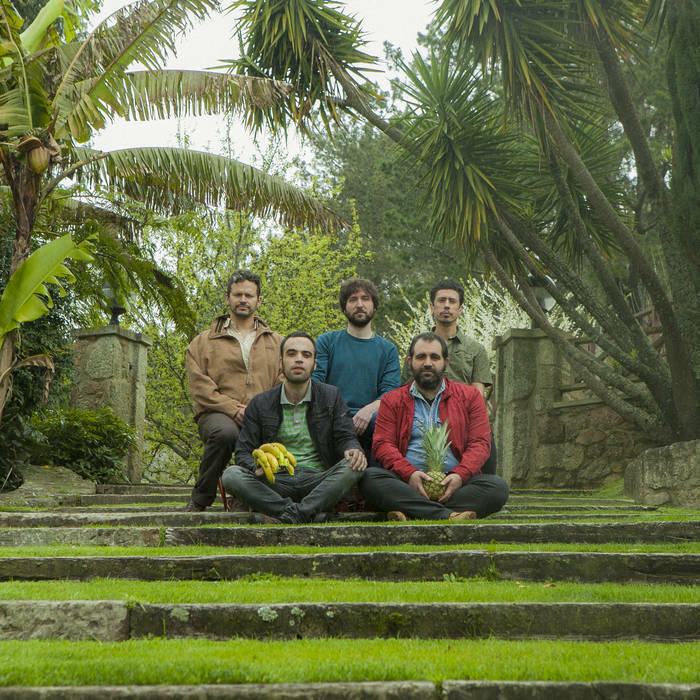 Ataque Escampe is a quintet from Santiago De Compostela, who has been together since 2001 and been releasing a swarm of issues throughout the last ten years. In the recent issue there are up a couple of new compositions. It is sympathetic of how they used to create the buildup of their music by doing it though lite indie folk numbers, which usually in the ending parts is chased by Roi Vidal played acid synthesizers and electronics. For instance, Papá borracho does end with a game boy-alike chip. Alan Lomax is set up in the way to meet at an interface of folk, psychedelia, rap, and alternative pop. However, blending of the styles (the formal side of songwriting) is not a goal on its own but the combo is adept in executing it seamlessly and convincingly to boost the main narrative. In a nutshell, the result is highly hilarious.